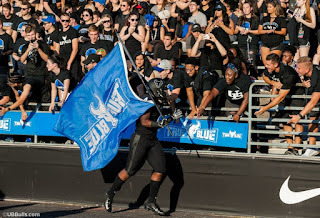 BUFFALO, N.Y. -- The University at Buffalo football team will return to national television on Saturday, September 29 as UB's home contest against Army West Point has been selected by CBS Sports Network. The game will kick off at Noon at UB Stadium. The Bulls enter this weekend's road contest against Rutgers with a perfect 3-0 record following Saturday's 35-28 win over previously unbeaten Eastern Michigan. 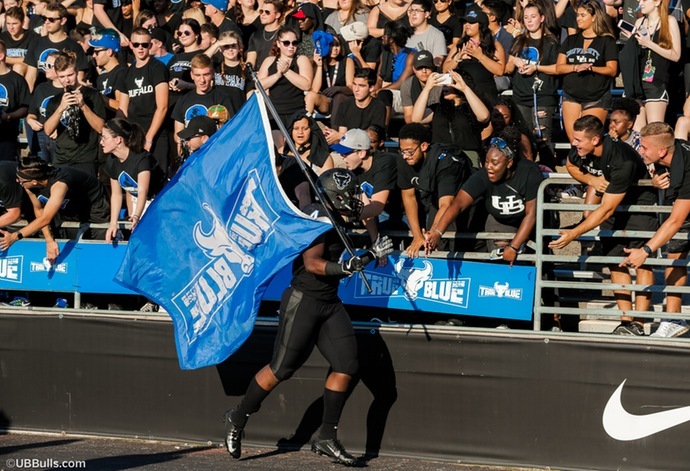 UB quarterback Tyree Jackson threw for 325 yards and three touchdowns in the win, while K.J. Osborn had a career evening with seven receptions for 188 yards and three scores. Buffalo will be looking to avenge a tough 21-17 loss to Army West Point from a year ago in a game played at Michie Stadium. The Black Knights are 2-1 on the season following a 28-21 victory over Hawaii this past weekend. Army West Point has also defeated Liberty this season following a season-opening loss at Duke. The Black Knights head to Norman, OK this weekend for a battle with the University of Oklahoma before the trip to Buffalo. Stamped Square will open at 9:00am before the game with the Tailgate Concert Series featuring Joe Nichols starting at 10am.